A gutted and cleaned fish was purchased at the super-market. In a naïve attempt to reanimate the dead fish, helium filled balloons were attached to it and it was placed in a field near the shore. 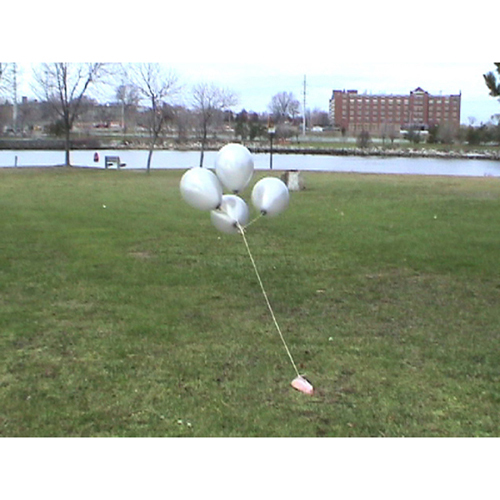 When nothing happened because the fish was too heavy for the balloons to move it, it was placed at the water’s edge. When again nothing happened, the fish and the balloons were thrown into the water where the now buoyant fish could be carried away by the balloons at the whim of the wind.